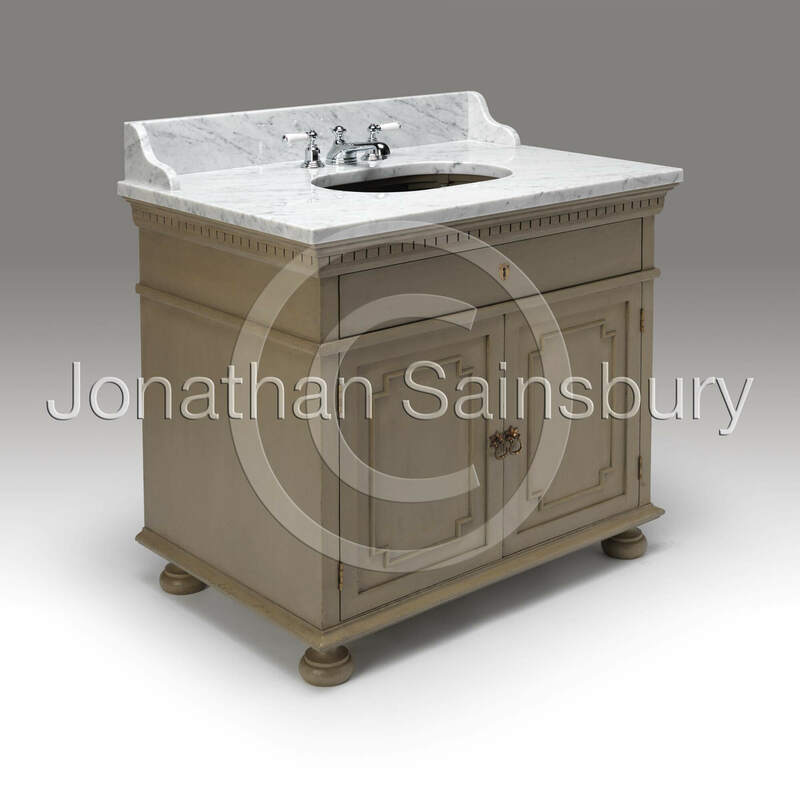 A vanity cupboard with marble top and splashback. The cabinet with dentil under-moulding and dummy top drawer. The two opening doors with bead decoration all resting upon a turned bun foot. This cabinet can be made to the clients own specific size and the marble tops are quoted for on an individual basis. The colour is also to the clients own particular choice.